Today is the first day of Autumn in the Northern Hemisphere. Autumn traditionally starts on the Equinox, the one day in September that the hours of day and night are equal. From now until the Spring Equinox in March, the nights will be longer than the days, with the shortest day being on the Winter Solstice, 21 December. The Equinox is a Pagan festival, which was passed down through the genertaions, and when farming began about 6,500 years ago, coincided with the end of the harvest and the harvest festival. The full moon closest to the equinox is called the Harvest Moon and this is when farmers set their deadline to have all their crops harvested. This year’s Harvest Moon is on Sunday night to Monday morning, the 27 – 28 September and coincides with the Harvest Festival here at Sacrewell. It’s also a Super Blood Moon, which means it’s the biggest full moon of the year and a slightly red colour when it rises. Sacrewell works with Peterborough Astronomical Society on a number of events throughout the year, including an autumn Star Party, which is on 17 October from 5.30pm – 9pm. Phil Shepherd from the society explains: “A Blood Moon or ‘Lunar Eclipse’ occurs when three things coincide: Earth passes between the Sun and the Moon; the Moon is closest to the Earth and the moon is full. “A red shadow is then cast on the Moon making it look an orange-red colour. The colour comes from our atmosphere filtering the green to violet colours of the Sun, casting the remaining red onto the Moon. 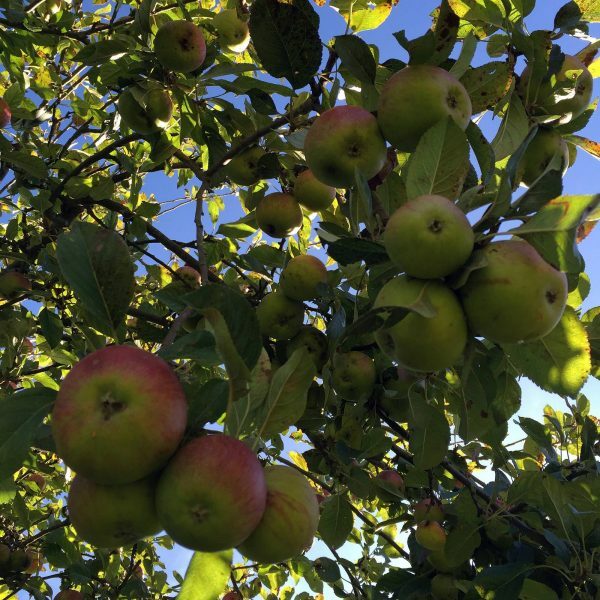 At this year’s Harvest Festival on Saturday and Sunday we’re concentrating on celebrating our apples. Nigel Venni, who manages Sacrewell Farm land farmed by our tenants, Riverford, says it has been a great year for apples. In fact, Riverford are sending out apples picked from their orchard at Sacrewell for the first time this year. “It’s been a good season. It was warm and we had rain at the right times. Keep an eye on our Facebook and Instagram pages for the latest autumn updates from Sacrewell.